BASSETERRE(17TH NOV., 2018): Minister of Tourism The Hon. Lindsay F.P. Grant led a delegation to the Florida Caribbean Cruise Association (FCCA) Conference held in Puerto Rico during the period 5th to 9th November 2018, where it was announced by that in the 2017-2018 cruise year the average cruise passenger spend was US$135.94 in St. Kitts, the third highest in the Caribbean. This is no small feat for the destination which ranked 8th in the Caribbean in visitor spend in the 2014-2015 cruise year. 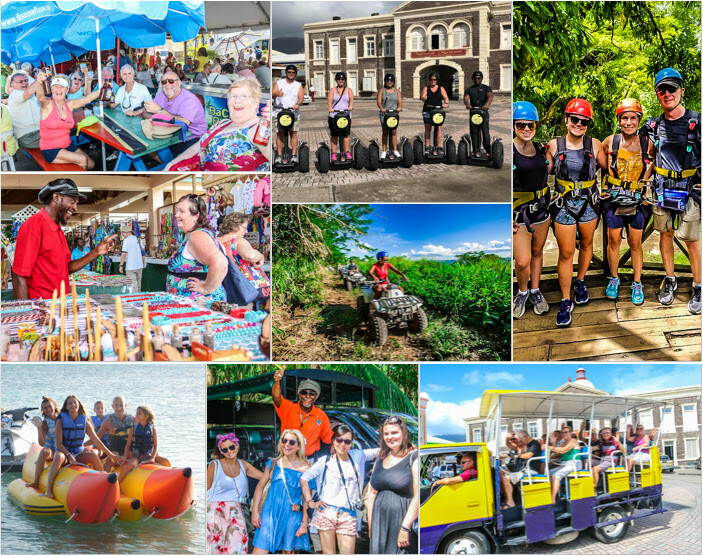 According to the study released by Business Research & Economic Advisors (BREA), Economic Contribution of Cruise Tourism to the Destination Economies to the FCCA, cruise tourism directly generated US$143 million to the St. Kitts economy, along with nearly 2,065 jobs, paying more than US$17 million in wage income. Also of significance is that the average crew spend in St. Kitts also went up from US$41.55 in 2015, to US$53.72 in 2018. Total crew expenditure in St. Kitts was at US$3.9 million in 2015, and has more than doubled to US$8.72 million in 2018. 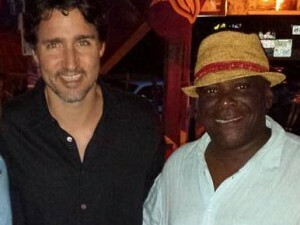 Minister of Tourism, The Hon Lindsey F.P. 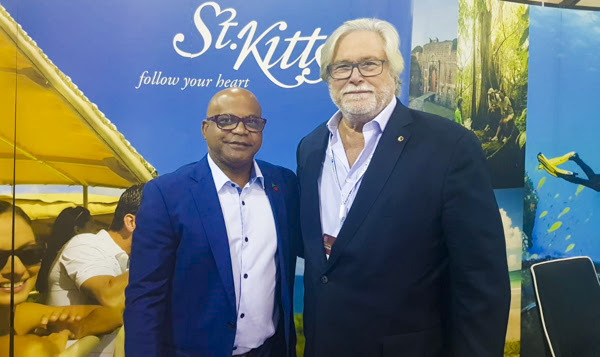 Grant meets with the Micky Arison, Chairman of Carnival Corporation, the world’s largest cruise operator, at the 25th annual FCCA Cruise Conference & Trade Show in San Juan, Puerto Rico. Minister Grant said he was extremely proud of the results, particularly since the 2017-2018 cruise year ended with St. Kitts receiving more than a million passengers for the first time in our history. The U.S. Virgin Islands had the highest average per passenger spend at US$165.42, followed by St. Maarten at US$142.23, and then St. Kitts & Nevis at US$135.94. According to the study cruise tourism directly generated US$3.36 billion in total cruise tourism expenditures in the Caribbean — more than six percent higher than the record set by the previous study in 2015. The study, which is engaged by FCCA in partnership with its destination partners every three years, was released at the 25thannual FCCA Cruise Conference & Trade Show in San Juan, Puerto Rico. The FCCA is the trade group representing the mutual interests of the cruise industry and destinations and stakeholders in the Caribbean and Latin America.